The best beef stand in the free world. I am lucky to live only a few blocks from this place. I have eaten a lot of beef sandwiches in my life, trust me. This is the absolutely most perfect beef sandwich ever created. And to keep up with the latest Italian Beef news? 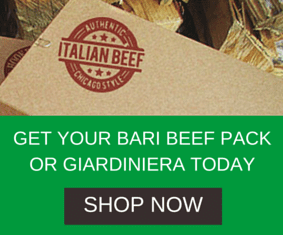 Sign up for our newsletter and get all of the latest Italian Beef, Chicagoland information and enter to win an Italian Beef Party Pack!